Recently Apple has launched iOS 11 Public beta. This public beta can be installed on any iPhone or iPad devices by any users in a very simple way. Note that only a few models are eligible for iOS 11 upgrade. Check if your device is eligible for iOS 11 or not. In the same method, I to upgrade my iPhone 6S from iOS 10.3.2 to iOS 11. Earlier I have mentioned all the 100 features of iOS 11 in my article. Of all the features, the most attracting feature is Screen recorder. Yes! Now, it became very easy to record our iPhone screen with inbuilt screen recorder option. 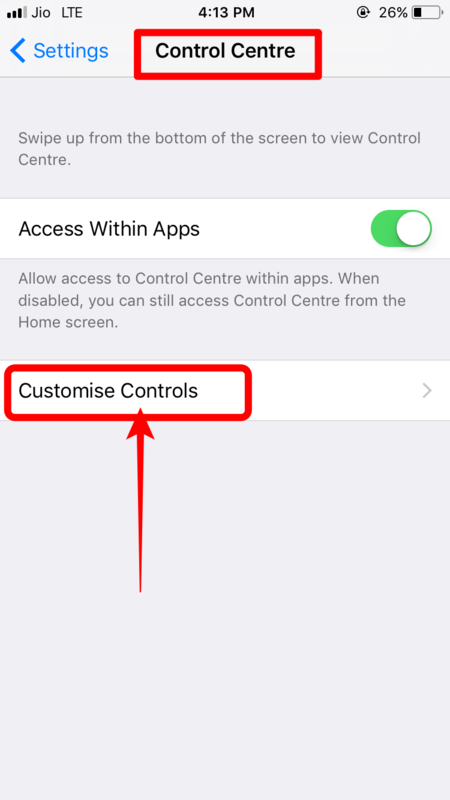 Today I am going to show you how to add screen recorder to our control centre for easy navigation and how to use it after adding it to our control centre. 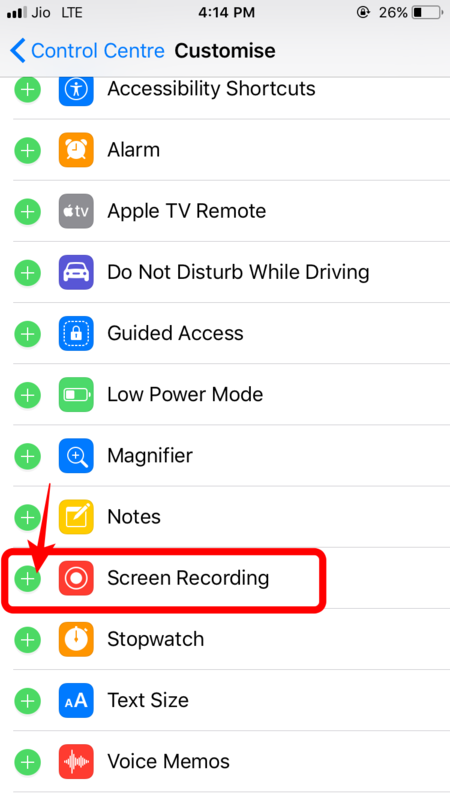 Here, we are going to see where can we find screen recorder in our iOS 11 and how to add it to our control centre for an easy use. In the below screenshot you can see the change in the iTunes store icon, Calculator, etc. Also, you can see the new icon “FILES” added to the home screen. 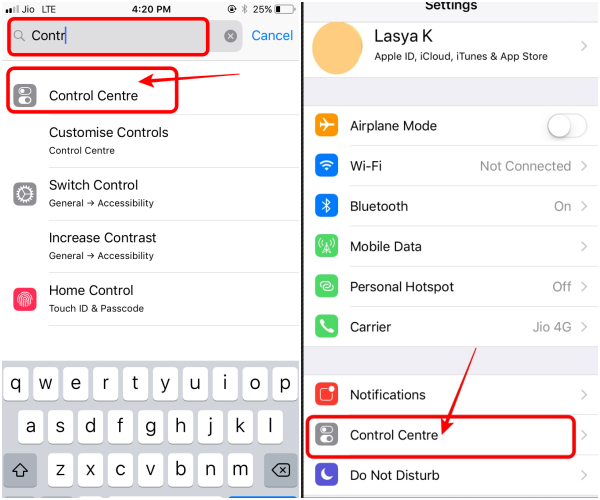 Once you have entered into the Settings option, scroll to see the Control Centre option or search for control centre in the search bar. See the below image for the clear vision. Once you tap on the control centre, there you can see the option Customise Controls. Click on that option. In Customise section, you can see the number of options that can be added to our control centre. Scroll down and search for “Screen Recorder” option. Then click on the Plus symbol to add it to your iPhone or iPad control centre. After tapping on Plus symbol, if you scroll up to Include section, there you can see the Screen recorder added to your iPhone Control Center. 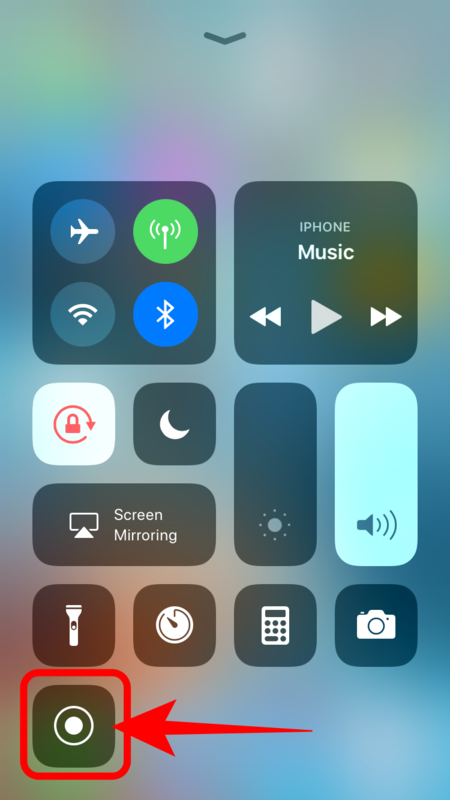 If you want to remove Screen recorder or any of the apps from your Control Center, just tap on Minus symbol to remove it. If you want to add it again, just follow the above process. That’s it! You are done with adding Screen recorder to our Control Centre. To view it, go back to your home screen and slide from the bottom of your iPhone. There you can see the screen recorder symbol as shown in the below image. 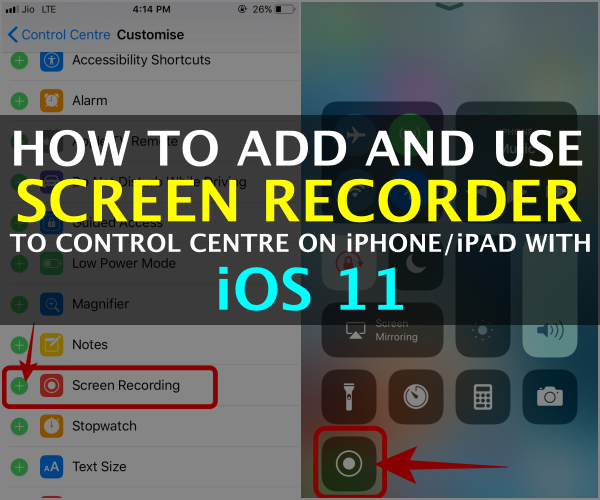 Adding and using Screen Recorder from iPhone or iPad control centre is very easy. With just two taps you can record your iPhone or iPad screen. Open your Control centre by sliding it from the bottom of your iPhone/iPad screen. 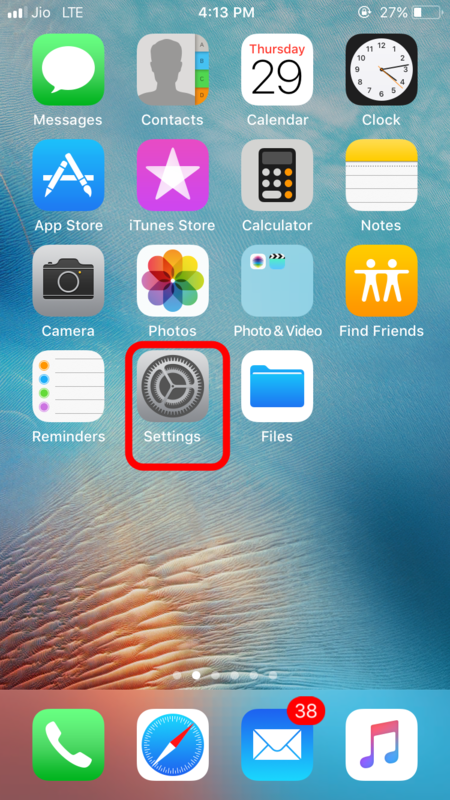 Tap on the Screen Recorder icon to start recording the iPhone or iPad devices screen. To stop the screen recording, tap on the top of the screen where the screen recording time is shown in a blue colour bar, and then you will be asked for the confirmation to stop the screen recording. Tap on stop option to end the screen recording. When you stop the screen recording, they are automatically saved on your device. To view the saved screen recordings in your device, go to the Photos section and scroll down to view the recordings. That’s it!. 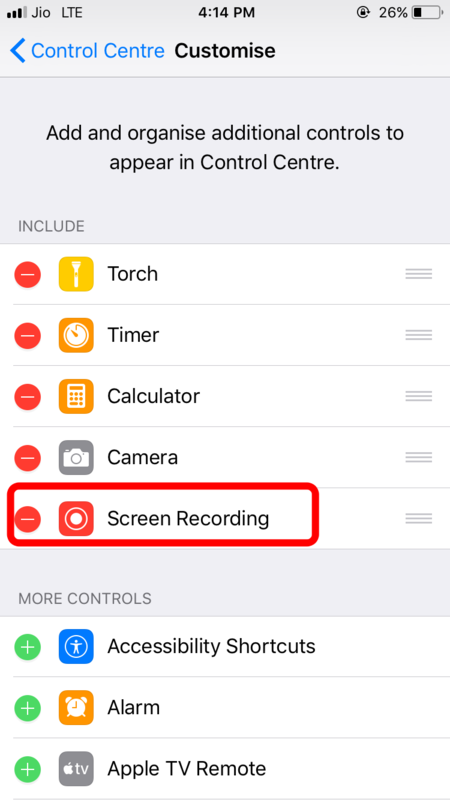 This is all about how to find the Screen recorder option in our iPhone or iPad and how to use the screen recorder inbuilt feature. Awesome isn’t it? If you are an existing iOS 11 users and want to downgrade from iOS 11 to iOS 10.3.2, then this article is for you. There are many more features that I am experiencing right now. I will update you with all the important changes and features in our upcoming posts. Stay tuned to our Website for more news and updates about iOS 11. If you want to know anything regarding iOS 11 or upgrading process or any question related to iOS 11, let us know in the below comment section. We will explain you with all the details in a detailed post. If you have any queries, write them in the below comment section. We will get back to you to solve all your queries as soon as possible. We will post all the possible videos of iOS 11 tricks and many another tech tricks and tips in our Facebook and YouTube channels. If you are interested in receiving more freshly brewed content then follow us on Facebook page for all the latest updates and subscribe to our AllTop9 YouTube channel for more video tutorials. Which iPhone or iPad you are using now?